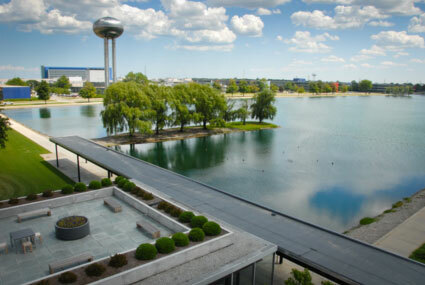 Over the years, a team of employees of General Motors has helped maintain the integrity of the campus and earn a spot on the National Register of Historic Places. 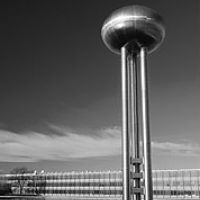 The technical center has been designated as one of the most outstanding architectural achievements of its time. 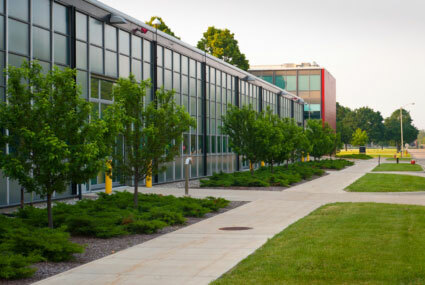 Just as the American Institute of Architects, are in the top 10 Michigan architectural gem. 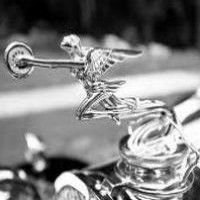 Interest, understanding and commitment are essential to our community of designers, researchers, engineers and craftsmen inspired by the context of the ownership of physical spaces for cars and trucks they create world class today . 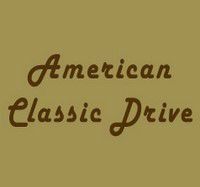 They also contributed to the employees of General Motors have access to technology. 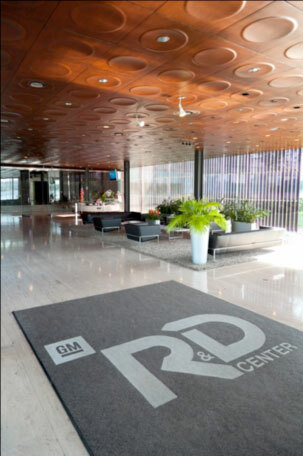 Research center of General Motors, each new project brings with him a new new development plans for incredible features. 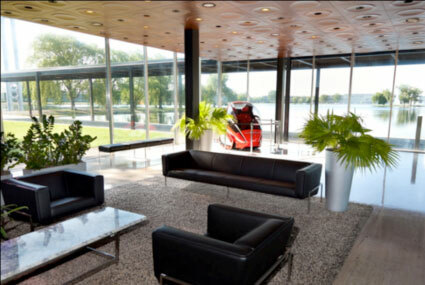 Meticulous attention is paid to the original design of Saarinen. Whether restoring or redistribution of paintings by renowned artists such as Ernst and Scheeler, bringing the natural beauty of wood panels inside the Kettering hotel. The enhancements to restore the appearance and function of the administration building of research. In the main hall can even the black leather seats with original finish by Saarinen designed specifically for this space and woven carpet in your sage, cream and black to match nature. 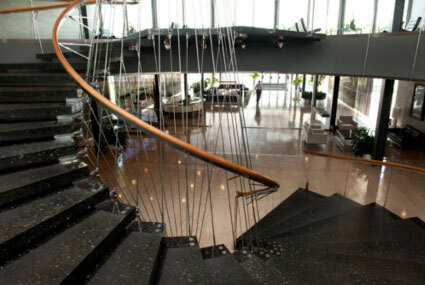 The most striking feature of the lobby area is suspended spiral staircase designed by Kevin Roche. 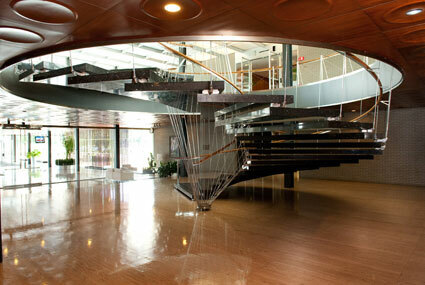 The steps are made of Norwegian granite, each weighing 680.00 kg The total weight of the stairs is 27 tons. The restoration included the cleaning and polishing of teak handrail and the rim and stainless steel fittings. 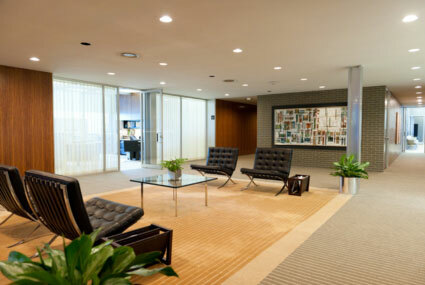 In the lobby of the management, restoration work includes resurfacing offices, upgrading the original table and chairs in Barcelona designed by Mies Van der Rohe. Jimmy Ernst abstract painting, wooden walls. The mats have been customized. 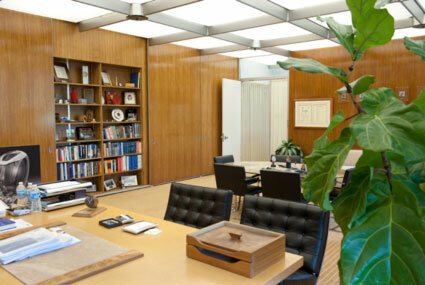 The Office of the Vice President, to undergone a total restoration from floor to ceiling. 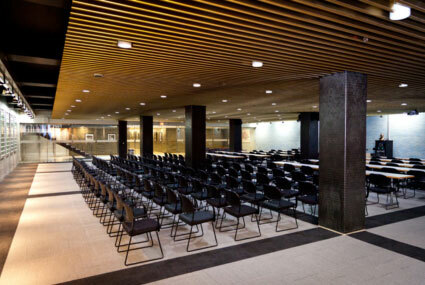 The wooden sliding doors, and separated by stainless steel bands that hide the locker room walls, the display space and presentation areas (ie the black tables). The computer, and also flat screen monitors have been added to the functionality of the 21st century. The chairs are also restored and renovated, the sofa Knoll original mohair been refurbished with an identical fabric specifications Saarinen. 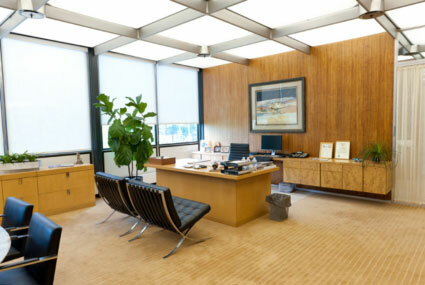 Restoration efforts also included a wall finishing wooden credenza made â€‹â€‹by Stow Davis. The unique design gives the appearance that the ground is floating. 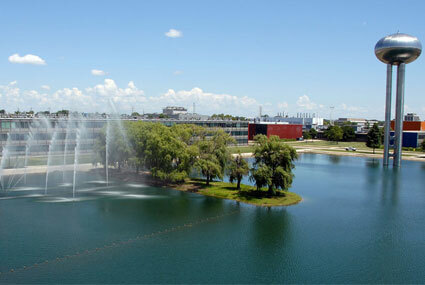 In Kettering Hall, originally the conference, served cafeteria for new buildings in the complex. 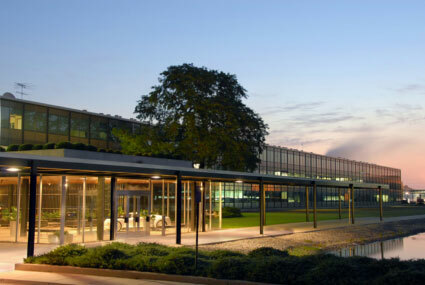 Today, the space is used for team meetings and international collaboration. The space also features a series of plates showing awards for scientific innovation. 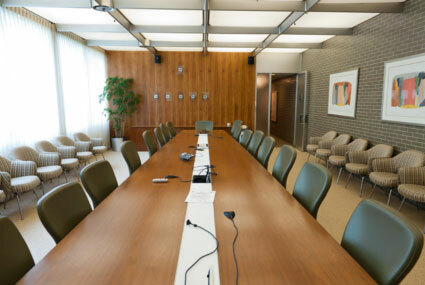 The auditorium seats 126 received upgrades communication system to include wireless networks, fiber optics and signal handling to retransmit global emissions. 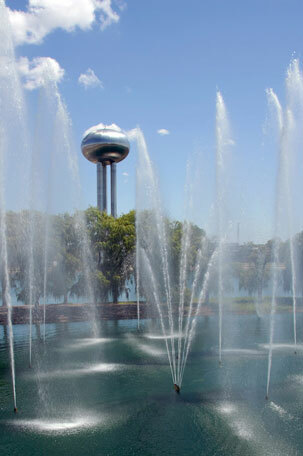 The restoration of the fountain in the lake is a work in progress. While Alexander Calder designed a new system operational jet, plans are underway to restore the choreographed elements (ie Fantails, Seven Sisters, scissors and Plops) so that the whole can function fully. Just above the lobby the outdoor terrace on the second floor also received considerable attention. New perennials every stone has been sanded and re-laid, have sat. Teak benches and a table with top in slate have been installed and circular planters were added to attract people to enjoy its view of the lake. Credits Photos : General Motors Research, Charles Cloud.